Blog > Cockapoo or other breed > Cockapoo vs. Jackapoo: Which Cute Poodle Crossbreed Suits Your Lifestyle? 2 How Easy Are They to Train? 4 What Lifestyle Do They Fit Best In? Cockapoos and Jackapoos are both active small hybrid dog breeds. This guide takes you through the similarities and differences of these two poodle mix breeds to make it easier for you to decide which puppy will fit your lifestyle best. Cockapoos are a mix of Cocker Spaniels and Poodles. A Jackapoo is a Jack Russel Terrier and Poodle mix. The combination of Cocker Spaniels and Jack Russel Terriers with Poodles results in very lovable and playful little pooches. They are intelligent breeds that fit well into family life. To decide which poodle hybrid is best for you, have a read through this guide that explains more about how to train and groom Cockapoos and Jackapoos, their health conditions and which lifestyle they will fit into. Since both Cockapoos and Jackapoos are hybrid dog breeds, there can be a lot of variance even within the same breed and the same litter. The parents of the puppy will give you the closest indication of its adult size, colour, weight and health. Cockapoos and Jackapoos are similar in size and weight. They tend to be around 25 cm – 38 cm tall and weigh 5,5kg – 11kg which qualifies them as a small to medium dog breed. Their physical differences become more apparent in the grooming requirements. The coat of Cockapoos and Jackapoos is unpredictable if the puppy is a first generation crossbreed. Both hybrids can have curly hair like a poodle or straight longer hair like Cocker Spaniels and Jack Russel Terriers. Despite shedding little, Cockapoos require more grooming than Jackapoos. Cockapoos require regular brushing and clipping a few times a year to keep their coat clean, healthy and free of tangles. Jackapoos, on the other hand, do not need extensive grooming. Brushing them twice is the only grooming you really need to do because trimming their coat a few times a year is more of a personal choice. Another grooming aspect to remember is that both hybrids enjoy swimming. If you live in an area with lakes or rivers then you might have to prepare yourself for regular baths. However, this can be avoided with training that teaches them not to jump into water without permission. How Easy Are They to Train? Both Jackapoos and Cockapoos are intelligent breeds that can respond well to training. However, the pet owner of a Jackapoo will need to be more assertive than the pet owner of a Cockapoo. Jackapoos have inherited the tricky streak of Terrier breeds. If you are taking in a Jackapoo you need to make sure that you are consistent and firm in your training to avoid stubborn behaviour in your dog. Some won’t recommend adopting a Jackapoo for first time dog owners. However, if you are up to the challenge then you will be able to train your Jackapoo to do plenty of fun tricks and agility training. In comparison, Cockapoos are more eager to please. They have adopted the gentle nature of Miniature Poodles and Cocker Spaniels. Their gentle nature needs to be remembered during training. They learn faster with positive feedback and encouraging voices than with being told off which can cause fear. Both Cockapoos and Jackapoos are social animals which thrive in a family setting. Being with a family that entertains them and can take them on long walks will keep these active creatures well-behaved. Entering a household that already includes dogs or other pets is not a problem for either dog breed. Both pooches will enjoy constantly having playmates around. This doesn’t apply to other animals near their home, though. Jackapoos, like many Jack Russel Terriers are protective of their territory and are known to bark at someone or animals passing by. 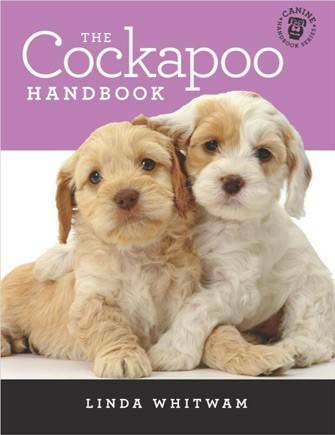 If you have young children then a Cockapoo is probably more suitable for your family. This isn’t because Jackapoos don’t like to play with children. On the contrary, Jackapoos like to play a little too much which can get rowdy with small children. What Lifestyle Do They Fit Best In? Cockapoos and Jackapoos can fit into many different lifestyles. This is thanks to their adaptability. Given their size, Cockapoos and Jackapoos can live in an apartment. However, their size doesn’t mean that a small apartment is enough space for their required exercise. Despite being a small dog breed, they will need about 45 minutes to an hour walk every day. This why they are good companions for owners with an active lifestyle. As long as you are able to provide them with a lot of exercise and mental stimulation, Jackapoos and Cockapoos can live full lives in both cities and the country side. Having someone of their pack around, whether human or four-legged, is very important to these small dogs as they tend to get anxious being left alone. This is why Jackapoos and Cockapoos will be happier in a household where there is usually at least one family member home. Hybrid breeds tend to have a lower tendency to suffer from hereditary conditions. However, Cockapoos and Jackapoos may still inherit certain conditions or diseases due to their heritage. 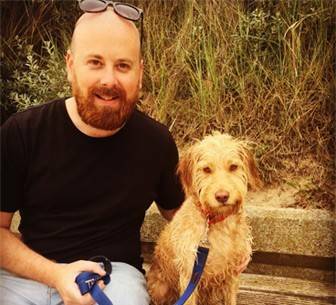 Take a look at the common health conditions of miniature poodles, toy poodles, Cocker Spaniels and Jack Russel Terriers to get an idea of what to look out for in your pooch. Both Cockapoos and Jackapoos are energetic small dogs that fit well into an active lifestyle. They also adapt well to different environments whether you are a couple in a city apartment or large family living in the country. In terms of maintenance, Cockapoos need a little more attention than Jackapoos in their grooming. On the other hand, Jackapoos require more attention in terms of training. Decide between these breeds based on their character and how dominant you are as a dog owner. Cockapoo or Pug? Which is Perfect for Your Family?